THE winter of 2011/12 will long be remembered as the time when Russian society was mobilised in earnest, demanding regime change and showing little fear of repression. For some time, it looked as though Russia was heading for serious change. But a year later the opposition is faltering and the regime is displaying restored confidence. The tens of thousands who took to the streets of Moscow and other major cities in anti-regime demonstrations which became known as the Snow Revolution were clearly elated by the experience. Early indications also suggested that the government was truly shaken. But in retrospect we may conclude that there never was much of a risk of a true retreat. The reason is that those who demanded change had so very little in common. They made up a ‘negative coalition’, united in anger but deeply fragmented on what should be done. The anger was certainly real. Dissatisfaction had been building for some time, fuelled by revelations of massive corruption within the elite. When it was made clear that a brazen deal had been made for President Dmitry Medvedev to step down and for Prime Minister Vladimir Putin to replace him, it was as if something had snapped. 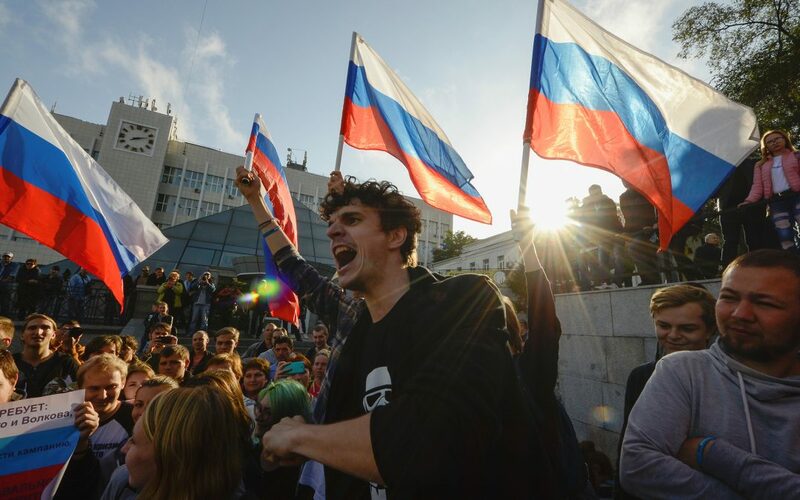 And when it transpired that national elections to the lower house of parliament, the Duma, in December 2011 had been rigged, massive protests followed. On March 4, 2012, seven months before his 60th birthday, Mr Putin was duly elected to his third, non-consecutive, term as President of the Russian Federation. On May 6, the day before his inauguration, a rally in central Moscow disintegrated into street fighting. The momentum of protest was maintained for some time. On June 12, tens of thousands again took to the streets. But then came the long summer holidays. When the political season resumed, the momentum had been lost. A rally on September 15 did attract tens of thousands, but it would prove to be the last. The reason could be found in an incendiary speech by Aleksei Navalny, the designated icon of the early protest movement. ‘We must come to rallies to win freedom for ourselves and our children, to defend our human dignity,’ the anti-corruption blogger said to cheers of support. Mr Navalny’s vision of people attending rallies like going to work was self-serving, if not outright naive. The main challenge to the opposition leaders had been to come together on a constructive agenda on what should be done. By failing to do so, they gradually allowed the initiative to slip into the hands of the regime.